Baltimore, MD (December 7, 2016) – A joint venture organized by Alex. 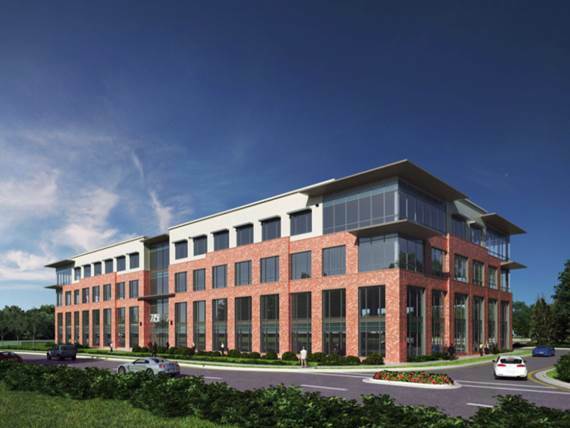 Brown Realty, Inc. (ABR) and Heritage Properties has announced development plans for a 116,000 sf Class A office building located in the Brier Creek area of Raleigh, North Carolina. ABR Chesapeake Fund V, a real estate fund sponsored by ABR, expects to invest approximately $5.9 million in the venture. Financing for the project is being provided by BB&T. Legacy at Brier Creek is scheduled to be completed in mid-2017. The four-story office building will receive LEED certification and feature state-of-the art amenities including 10’ ceilings, floor-to-ceiling windows, and a hotel-style lobby with tenant lounge and fitness center. “We are impressed with the strength of Raleigh’s market fundamentals,” stated Tom Burton, ABR’s chief investment officer. “We believe those fundamentals will continue to strengthen and Brier Creek will be positioned to benefit. 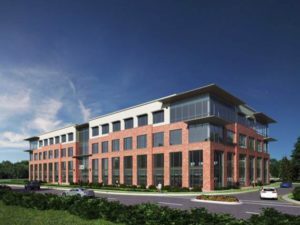 Additionally, upside in the investment is presented by the potential to develop a second office building on the site,” added Burton. “Heritage has a successful track record of creating value in this asset class,” commented John Prugh, President and CEO of ABR. “We expect to leverage that experience into a strong return for our investors.” While Brier Creek represents the first transaction between ABR and Heritage Properties, ABR has invested with Heritage principals for three decades.